Sarah King Simmons married Samuel H. Watrous, son of Elijah Southworth Watrous and Clarissa Holcombe, on 31 January 1866 at Suffield, Hartford Co., CT.
William became an experienced farmer under his father's instruction early in life and also received the advantage of a good academic education. In the spring of 1842 he set out on a voyage from Connecticut, by way of the Connecticut River to Long Island Sound to New York City; from there up the Hudson river to Albany, then by boat on the Erie Canal to Buffalo; from there they came by water to Detroit and from there by rail to Jackson, Michigan. He settled in East Leroy, Calhoun Co., MI. William P. Watrous was born on 21 March 1824 at Chester, Middlesex Co., CT. He was the son of Elijah Southworth Watrous and Clarissa Holcombe. William P. Watrous married Lucy Grodarent, daughter of John Grodarent and Rebecca Shultes, in 1847. William P. Watrous died on 23 April 1898 at age 74. Rebecca M. Watrous was born in 1826. She was the daughter of Elijah Southworth Watrous and Clarissa Holcombe. Rebecca M. Watrous died on 20 July 1861. Emily E. Watrous was born circa 1831 at Chester, Middlesex Co., CT. She was the daughter of Elijah Southworth Watrous and Clarissa Holcombe. Emily E. Watrous died on 9 August 1851. Emory E. Watrous was born in 1831 at Chester, Middlesex Co., CT. He was the son of Elijah Southworth Watrous and Clarissa Holcombe. Emory E. Watrous married Lydia A. Jones, daughter of Ansel Jones and Deborah (? ), on 26 November 1854 at Killingworth, CT. Emory E. Watrous died on 20 April 1896. Judson Roderick Watrous was born circa 1832 at Chester, Middlesex Co., CT. He was the son of Elijah Southworth Watrous and Clarissa Holcombe. Judson Roderick Watrous died after 1873 at Hartford, Hartford Co., CT.
Julia A. Watrous was born in 1833. She was the daughter of Elijah Southworth Watrous and Clarissa Holcombe. George K. Watrous was born in 1843. He was the son of Elijah Southworth Watrous and Clarissa Holcombe. 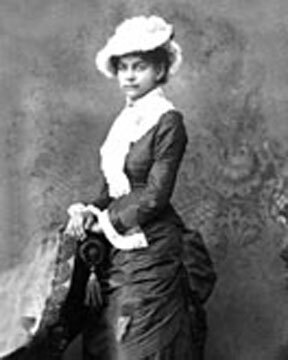 George Pearl married Sylvia E. Pelton, daughter of Ephriam Pelton and Statire Holcombe. George Pearl Jr. was the son of George Pearl and Sylvia E. Pelton. Thomas Munger was born at Antrim, MI. He married Sarah Alvira Karr, daughter of William M. Karr and Statira Alvira Wagner. Annie E. Karr was born in 1842 at Huntingdon Co., Québec, Canada. She was the daughter of William M. Karr and Statira Alvira Wagner. Annie E. Karr married Horace T. Freeman on 1 January 1870 at Grand Rapids, Kent Co., MI. Annie E. Karr died on 7 October 1889 at Grand Rapids, Kent Co., MI. She was buried at Oakhill Cemetery, Grand Rapids, Kent Co., MI. Horace T. Freeman was born in 1839 at Summerset Co., ME. He married Annie E. Karr, daughter of William M. Karr and Statira Alvira Wagner, on 1 January 1870 at Grand Rapids, Kent Co., MI. In 1874 and 1875 Joseph was listed as a carpenter in the Grand Rapids City Directory. In Lowell, MI, he was reported to be a constable. Lucretia Kent appears to be the sister of Addie Kent who married Joseph's brother, Henry. It is not known what happened to Proxode. Joseph L. Karr was born in 1845 at Huntingdon Co., Québec, Canada. He was the son of William M. Karr and Statira Alvira Wagner. Joseph L. Karr married Poroxode Joslin on 9 May 1870 at Grand Rapids, Kent Co., MI. Joseph L. Karr married Lucretia Kent on 15 February 1876 at Lowell, MI. Poroxode Joslin was born in 1843 at VT. She married Joseph L. Karr, son of William M. Karr and Statira Alvira Wagner, on 9 May 1870 at Grand Rapids, Kent Co., MI. Lucretia Kent was born in 1855 at NY. She married Joseph L. Karr, son of William M. Karr and Statira Alvira Wagner, on 15 February 1876 at Lowell, MI. Nettie Karr was born on 19 June 1845 at Huntingdon Co., Québec, Canada. She was the daughter of William M. Karr and Statira Alvira Wagner. Nettie Karr died on 11 April 1896 at Grand Rapids, Kent Co., MI, at age 50. She was buried at Oakhill Cemetery; Karr family plot, Grand Rapids, Kent Co., MI. It is possible, because of close birth dates that Nettie and Joseph may be twins. M. B. Armstrong may have been a pastor in Canada, and may be related to mary Ann Waggoner and David John Armstrong. Albert Karr was born in January 1849 at Huntingdon Co., Québec, Canada. He was the son of William M. Karr and Statira Alvira Wagner. Albert Karr died on 23 October 1866 at Grand Rapids, Kent Co., MI, at age 17. Henry C. Karr was born in August 1850 at Huntingdon Co., Québec, Canada. He was the son of William M. Karr and Statira Alvira Wagner. Henry C. Karr married Addie M. Kent on 7 September 1875 at Lowell, MI. Henry C. Karr died on 16 November 1929 at Carcinoma of stomach, Paris Twp., MI, at age 79. He was buried on 22 November 1929 at Oakhill Cemetery, Grand Rapids, Kent Co., MI. Henry was a carpenter at the time of his marriage. About 1883 he became a meat-cutter and remained a butcher the rest of his life. It appears, but is not confirmed that Henry's wife Addie and their two children moved to California around 1912/13. Whether they divorced or not is uncertain. Henry died in the Kent County Infirmary, where he is listed as an 'inmate'. Henry and Addie were enumerated in the 1880 Grand Rapids, Kent Co., MI, federal census. He was 30, she was 22. There were no children in the household. They were enumerated nearby George and Kate Wynkoop. Kathryn Karr was born in 1851 at Huntingdon Co., Québec, Canada. She was the daughter of William M. Karr and Statira Alvira Wagner. Kathryn Karr married George W. Wynkoop on 5 July 1869 at Grand Rapids, Kent Co., MI. Kathryn Karr died at Grand Rapids, Kent Co., MI. She was buried at Oakhill Cemetery, Grand Rapids, Kent Co., MI. Kathryn was an accomplished artist and oils painter. She and George, married shortly after he was released from the Union Army, lived on Turner St., just two blocks from her parents. George enlisted in the Union Army in 1862. He served with Co. D, 19th Michigan voluntary Infantry, with Gen. Shafter as his Regimental Commander, through the Civil War. His first combat action occurred in Tennessee. He and other members of Company d, of about 50 men went on a recon mission south of Nashville, TN, and were attacked by a large contingent of Rebel forces led by Gen. Joe Wheeler, in Franklin, TN. After fighting for some time and being overwhelmed, they were taken prisoner of war and sent to the POW camp at Richmond, VA. They were there only a short time before they were exchanged for southern prisoners held by the Yankees. This exchange program broke down and was discontinued in 1864. Being released, he rejoined his old outfit and under the leadership of General Sherman,participated in the 'Battle of Atlanta'. From there they participated in the 'March to the Sea' and reached Savannah on December 21, 1864. They had engagements at Thompkin's Station, TN; Nashville & Chattanooga Railroad, Resaca, GA; Cassville, GA; New Hope Church, GA; Golgotha, GA; Culp's Farm, GA; Peach Tree Creek, GA; Seige of Atlanta; Savannah, GA; Averysboro, NC; and Bentonville, NC. After the fall of Benton, NC, and the surrender of Gen. Johnston, the Regiment marched to Alexandria, VA, arriving on May 18, 1865, to participate in the Grand Review in Washington, DC, on may 24, 1865. They then returned to Jackson, MI, where they were paid off and disbanded. Folklore indicates he turned down an inherritance of a plantation in SC from a relative because he was so embittered with the war. George and Kate were enumerated in the 1880 Grand Rapids, Kent Co., MI, federal census. He was a moulder, age 40, she was 29. Children in the household were Helie 7, and Sadie 4. John W. Karr was born in 1859 at Huntingdon Co., Québec, Canada. He was the son of William M. Karr and Statira Alvira Wagner. John W. Karr married Jane De Long. John W. Karr died on 26 December 1889 at Grand Rapids, Kent Co., MI. He was buried at Oakhill Cemetery; Karr family plot, Grand Rapids, Kent Co., MI. Jane De Long was born in 1858 at Lyn, Ontario, Canada. She married John W. Karr, son of William M. Karr and Statira Alvira Wagner. Thomas William Karr was born in 1854 at Huntingdon Co., Québec, Canada. He was the son of William M. Karr and Statira Alvira Wagner. Thomas William Karr died on 17 October 1913 at Occidental Park, Los Angeles Co., CA. He was buried on 20 October 1913 at Rosedale Cemetery, Los Angeles, Los Angeles Co., CA. Thomas moved with his family to Grand Rapids, MI, and was married in teh 1880's to a 'Simmons'. This marriage did not last. How it ended is uncertain. His daughter, Mabel Dolly Karr, bequeathed money to her 1/2 brother Eugene Miller of Detroit in 1912. this suggests that her mother had remarried to a 'Miller' and had a child, Eugene Miller, born August 6, 1892 in Detroit. eugene died in Detroit in 1970. Thomas moved to California prior to 1906 and at that time was single and was active in Masonry. the 1907 Los Angeles city Directory lists him living at 235 E. 2nd St. and that he changed the spelling of his name to 'Kerr'. His occupation is listted as a miner. 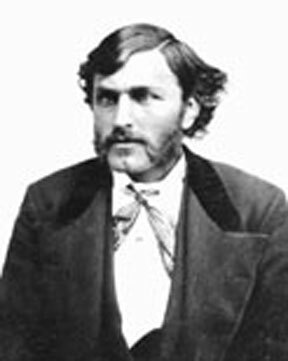 He owned about 40 acres of land east of Los Angeles which he named 'Rancho de Kerr'. today this ranch lies beneath the intersecting Interstate and 10 and 15 freeways. Thomas was tragically killed in an automobile accident in Occidental Park, a sub district of Los Angeles. A large moving van had obscured Thomas' vision as he pulled his vehicle out onto York Blvd., two blocks from his home at 5153 Stratford Road. He was broadsided by a street car who did not see his car because of the van. Harriette H. Karr was born in 1864 at Elgin, Ontario, Canada. She was the daughter of William M. Karr and Statira Alvira Wagner. Harriette H. Karr married Joseph D. Eness on 25 December 1886 at Grand Rapids, Kent Co., MI. Harriet applied for membership to the DAR on October 17, 1922 and was approved (national Number 182842) with the Balliet Chapter, Mount Vernon, IA. In completing the documentation for membership, she used the spelling of surnames as: 'Carr' and 'Waggoner'. She was always known as Hattie Karr. Joe Eness was a carpenter. Her marriage was witnessed by W. J. Eness of Grand Rapids, and Gracie Mitchell of Reed City, MI. B. C. robbins was the pastor. Hattie and Joe moved to Olivet, MI and Hattie eventually took care of her mother, Alvira Statira until her death. Some records indicate they may have moved to Oregon. James Armstrong was the son of David John Armstrong and Mary Ann Wagner. Elna Armstrong was the daughter of David John Armstrong and Mary Ann Wagner. William Armstrong was the son of David John Armstrong and Mary Ann Wagner. Addie M. Kent was born on 25 September 1858 at Lafayette, NY. She married Henry C. Karr, son of William M. Karr and Statira Alvira Wagner, on 7 September 1875 at Lowell, MI. Addie M. Kent died on 11 July 1934 at Los Angeles, Los Angeles Co., CA, at age 75. She was buried at Forest Lawn Cemetery, Glendale, Los Angeles Co., CA. Ethyl Karr was born on 25 October 1876 at Grand Rapids, Kent Co., MI. She was the daughter of Henry C. Karr and Addie M. Kent. 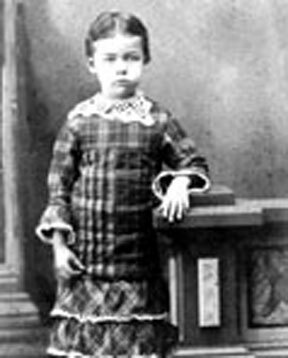 Ethyl Karr died on 18 December 1876 at Grand Rapids, Kent Co., MI. She was buried at Oakhill Cemetery; Karr family plot, Grand Rapids, Kent Co., MI. Allie apparently never married. He was a meat cutter in Los Angeles where he lived with his mother until his death. His grave stone reads 'Beloved Brother'. Albert W. Karr was born in April 1881 at Grand Rapids, Kent Co., MI. He was the son of Henry C. Karr and Addie M. Kent. Albert W. Karr died on 21 May 1951 at Los Angeles, Los Angeles Co., CA, at age 70. He was buried at Forest Lawn Cemetery, Glendale, Los Angeles Co., CA. David York is not sure that Maria exists; she may be confused with Maude born a year later. Maria Karr was born in October 1883 at Grand Rapids, Kent Co., MI. She was the daughter of Henry C. Karr and Addie M. Kent. Maud remained unmarried her entire life. Her grave stone reads, simply, 'Went Home'. Maud Karr was born in October 1884 at Grand Rapids, Kent Co., MI. She was the daughter of Henry C. Karr and Addie M. Kent. Maud Karr died on 12 April 1933 at Los Angeles, Los Angeles Co., CA, at age 48. She was buried at Forest Lawn Cemetery, Los Angeles, Los Angeles Co., CA. George W. Wynkoop was born on 23 August 1841 at Detroit, Wayne Co, MI. 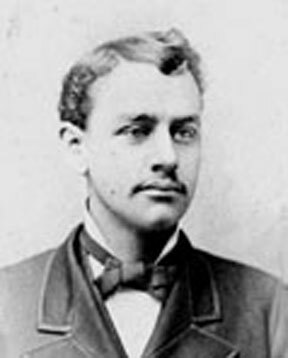 He married Kathryn Karr, daughter of William M. Karr and Statira Alvira Wagner, on 5 July 1869 at Grand Rapids, Kent Co., MI. George W. Wynkoop died on 5 July 1900 at Grand Rapids, Kent Co., MI, at age 58. He was buried at Oakhill Cemetery, Grand Rapids, Kent Co., MI. Ella M. Wynkoop was born in 1873 at Grand Rapids, Kent Co., MI. She was the daughter of George W. Wynkoop and Kathryn Karr. Ella M. Wynkoop died on 17 October 1927 at Baltimore, Baltimore Co., MD. She was buried at Graceland Mausoleum, Grand Rapids, Kent Co., MI. Information on Sarah and her descendants is from David A. York, 8039 Engelhurst Drive, Jenison, MI 49428, in a manuscript dated December 11, 1999. Folklore has it that Sadie had some type of medical condition that required immediate surgery and that this was done on the kitchen table in their home. She did not survive this surgery. A family picture taken in Grand Rapids in about 1895 shows her playing a guitar. Her sister Ella took over the job of raising Sarah's two children, Karthryne and Grace. Sarah Alvira Wynkoop was born on 21 September 1876. She was the daughter of George W. Wynkoop and Kathryn Karr. Sarah Alvira Wynkoop married Willard Warren Armstrong, son of Jacob M. Armstrong and Mary H. Deisch, on 8 August 1894 at Grand Rapids, Kent Co., MI. Sarah Alvira Wynkoop died on 27 December 1910 at Grand Rapids, Kent Co., MI, at age 34. Dexter Read Holcombe was born on 9 December 1876.1 He was the son of Chauncey Dayton Holcombe and Hannah Irene Buell. Dexter Read Holcombe lived on 3 November 1949 at Milford, New Haven Co., CT. Both Dexter and Buell showed Anna as their closest relative on the WWI draft registration cards. He signed his middle name in ink 'Read' but someone wrote 'e' over the 'a' in pencil. Bessie M. Gowdy was born in September 1869 at Scitico, CT.1 She was the daughter of Hill Gowdy and Emily C. Barnes. Bessie M. Gowdy married Louis E. Holcombe, son of Albert Elihu Holcombe and Martha J. Keney, say 1894. Bessie M. Gowdy died on 5 February 1949 at Home, Windsor, Hartford Co., CT, at age 79. She was buried on 8 February 1949 at Elm Grove Cemetery, Poquonock, Hartford Co., CT.
Bessie's obituary in the Courant indicates that she had two grandchildren and two great-grandchildren. She had lived in Windsor for 70 years so perhaps a look at the 1910-20 census will give the names of any children. When Albert applied for a social security card on 16 December 1936 he was living on Main Street in Windsor and working for H. Duys & Co. on 225 State Street, Hartford. [S182] Social Security Death Index (on-line), Ancestry.com, SSDI, Ancestry.com, SS-5 049-10-9578. [S182] Social Security Death Index (on-line), Ancestry.com, SSDI, Ancestry.com, SSAN 049-10-9578. Thomas Clark was born in March 1828 at CT. He married Ellen M. Holcombe, daughter of Hermaz Holcombe II and Emily Latham, say 1874. Thomas was recorded in the 1900 Windsor census as a carpenter. Annie Clark was born in November 1875 at CT. She was the daughter of Thomas Clark and Ellen M. Holcombe. Edith Clark was born in July 1883 at CT. She was the daughter of Thomas Clark and Ellen M. Holcombe.